A new promotion starts this morning in Lidl with 25 or so short term (WIGIG) wines – all from France. I have sifted out seven that I think you will enjoy but the smart choice (MidWeekers' Magic Bullet) will make you look especially savvy for buying it, tastes lovely but is at a surprisingly good price. We also have a couple of very sound Best Buys from other retailers and a Top Tip updating our advice about Bag in Box wines. To sample it we head to South West France for a tasty and great value malbec from the country that claims, with justification, to be its actual birthplace. Although Argentina and malbec are permanently joined together in most wine drinkers’ minds, malbec vines were only taken to South America about 150 years ago. For much longer it has been a hugely successful variety around Cahors – where it is known as cȏt. There, typically, it has produced versions that commentators suggest are richer, heavier and more tannic than Argentinian versions. Defying those stereotypes however (and getting the best of both continents), 2017 Clos des Batuts Cahors (£6.99 at Lidl and 13% abv) is only medium bodied and has limited tannin but its loganberry and blackcurrant fruit is bold and assertive with good acidity in support and background hints of clove and liquorice. For the curious: I have stolen the term “Magic Bullet” from the medical profession where, apparently, it refers to a remedy that delivers its benefits without side effects. In our context “Magic Bullet Wine” also has important benefits (it tastes good and makes anyone buying it look savvy and surefooted) yet avoids the side effect of a big hole in the pocket – indeed it is often at a discount. This guy almost won that accolade but the extra £2 on the price tag here (although undeniably well worth it) just swung things towards the Cahors. Adapting the ideas behind the Rhone Valley’s GSM blends, this red – from the two part Fitou region in the furthest corner of Languedoc – retains grenache and syrah but replaces mourvedre with carignan and actually leads with it. The result in 2015 Fitou Les Cazals Cascatel (£8.99 and 14.5%) is a smooth wine with damson and red cherry fruit, good acidity, little tannin and attractive suggestions of cinnamon. Regular readers will know of my fondness for the granite influenced Beaujolais Crus in the north of that region and especially the “M Squad” (Morgan and Moulin a Vent) so I surprised myself by going past one of them and awarding top marks to a wine from the most westerly Beaujolais Crus – Régnié. Enjoy then the light textured 2017 Régnié Cru Beaujolais (£7.99 and 13%) with its bright, crunchy raspberry and cherry fruit and good acidity but firm touches of clove that support it. It would not be the Lidl September Wine Tour without a claret and that gap is filled this time by a merlot led blend from Fronsac – that part of the Right Bank just the north west (seaward side) of St Emilion. While, predictably being merlot centred, the main fruit in 2017 Chateau Saint Rémy Fronsac (£6.99 and 14.5%) is red cherry but there are blackcurrant and mint influences too (even though it contains a mere 10% cabernet sauvignon) all nicely supported by suggestions of clove and vanilla but only soft tannin. Their latitude sometimes makes wines from Alsace initially appear dry and slightly austere (yet still hugely attractive) but this riesling provides a delightful gentleness that I rather enjoyed. 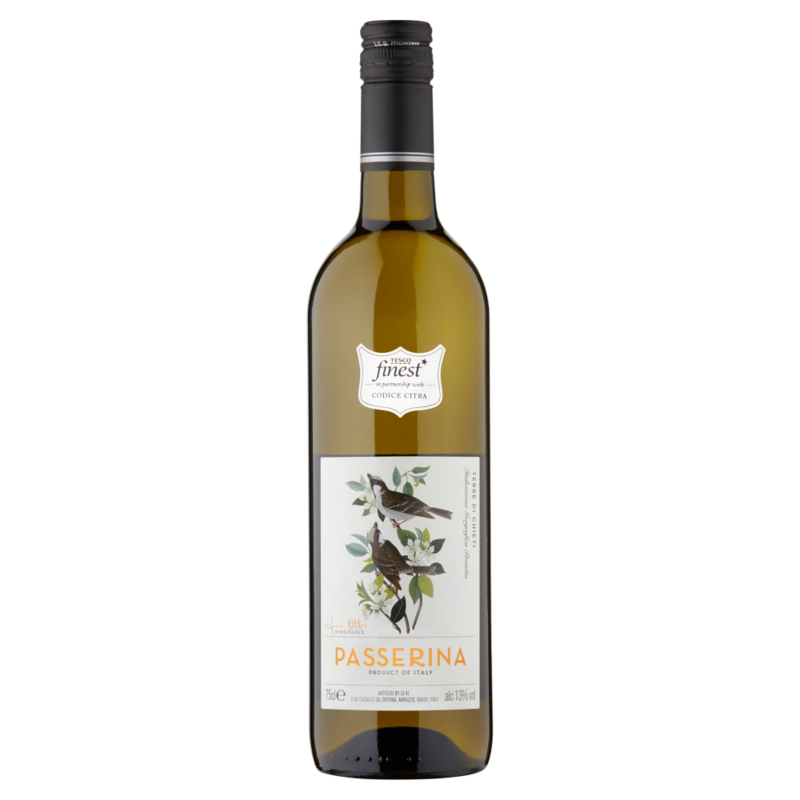 Rounded and herbal 2017 Jean Cornelius Alsace Riesling (£7.99 and 12%) leads with apple centred fruit enlivened by touches of lime that slowly acquires an appealing perfumed perception of sweetness. While calling it a “life saver” may over-egg things, a half bottle of champagne in the fridge does help draw the stress out of a bad day – or provide a good aperitif for two. Nevertheless, not all champagnes that size impress but Comte de Senneval Champagne (£6.99 for a half bottle and 12.5%) is pretty decent stuff with a pinot noir centred, soft pink grapefruit foundation supplemented by green apple acidity and biscuit based depth. This sweet white is a regular part of Lidl Wine Tour promotions and comes from the part of South West France that also produces the tannat dominated Madiran red. This white is actually a blend of petit manseng (60%) with equal parts of gros manseng and petit courbu. New converts to so-called dessert wines should start here with the 2016 Pacherenc du Vic Bilh (£7.99 and 12%) – which has soft honey and marmalade sweetness behind its clean red apple and orange fruit and citrus peel texture. Another part of the internet will help you if you want to master the pronunciation of this little known wine. While classic pinot noir soars to the heights of raspberry or cherry centred elegance and matches it with depth and complexity, entry point versions can give a clear nod in those directions while still providing inexpensive everyday drinking. Here is a case in point where Hungary’s 2017 Chapel Hill Pinot Noir (£5.79 – instead of £7.79 until 2 October – at Waitrose and 12%) offers light bodied raspberry and cranberry fruit with touches of trademark earthiness and cinnamon, modest acidity but soft tannin. Those unusual, and often very local, white Italian grape varieties continue to delight and this one – from Abruzzo and named after the little sparrows that seem to appreciate the grape as much as I do – was only re-discovered a quarter of a century ago. Enjoy nevertheless the light textured 2012 Tesco Finest Passerina (£5.20 – instead of £7 until 1 October – at Tesco and 13%) with its apple peel and bitter lemon flavours built into an intriguing combination of layers of sweetness yet a gentle savoury backdrop too. Tip ………… Bag in Box wines can go the distance! Back in July, I reported on Bag-in-Box wines but wondered whether keeping white wine boxes in the fridge was a good idea. Well, I tried it with the gruner and with the muscadet reviewed then and am pleased to say that both were tasting well even six to eight weeks after opening. Clearly fridge storage is no problem in that timescale and my conclusions provide a ringing endorsement for the current technology the genre uses. The problem with old styles boxes was that the metallised bags they used then were prone to cracking when moved, admitting air that diminished the longevity of the content. Oliver Lea – MD of the BIB Wine Company that provided the boxes concerned – says that his company uses clear bags inside the box, which seem more flexible than the (admittedly much improved nowadays) metallised ones. In addition, Ollie tells me that the oxygen barrier has been improved, as have the taps used, so that two other early issues with Bag-in-Box wines no longer present the problems they once did. All this serves as a helpful green light for Bag-in-Box wines which have the additional benefit in these health conscious times that it avoids the end of bottle pressure to finish it up “before it goes off”. I accept that these wines are not the cheapest but they do allow you to pour a carefully measured glassful (say 175ml) in whatever timescale you want over a period as long as six weeks, confident that the initial high quality will be maintained. Making news, not just reporting it, I am inordinately pleased to tell you that MidWeek Wines now appears in the Top 50 UK Wine Blogs compiled by Feedspot. For a small subscripton, the Feedpost site provides wine enthusiasts with access to a whole range of wine blogs that, between them, keep everyone updated with news, opinions and details of wine that will suit almost any taste. It is well worth a look and I am grateful to them for including this site among the ones they feature. Thanks for the heads up. I need to get to Lidl for a couple bottles of Pacherenc, reminds me of many wonderful holidays in SW France. It’s a prefect wine served with a rich pâté. Congratulations in order here Brian for a Top 50 blogs listing! Thank you Eddie really appreciate that. It is always nice to get some recognition like this as you never really know whether you are hitting the right spot because online activity does not provide the instant feedback of face-to-face communications. Nice selections again, I tend to like Cahors and Fitou, also the Fronsac sounds like something I’d like to try, find it so hard to find good cheap Bordeaux many I’ve tasted lately fall well short. tried a Montagne Saint Emilion yesterday and it wasn’t that good. Still struggle with Beaujolais, Gamay is one of the few grapes I can’t get on with, (still to be convinced). Congratulations on making the Top 50 UK wine blogs, well deserved. By the way, The Jean Cornelius Rieslings I’ve tried in the past have always been excellent. Thanks Dave – always a pleasure to hear your thoughts. As you say, inexpensive Bordeaux is like hen’s teeth but try 2016 Morrisons The Best Bordeaux Superior which I thought provided a good entry point option at £6.50. Just picked up some Carpinus bottles as bin ends. The Fitou is exquisite and I have to credit you and LIDL for making my trip to the supermarket a real pleasure!